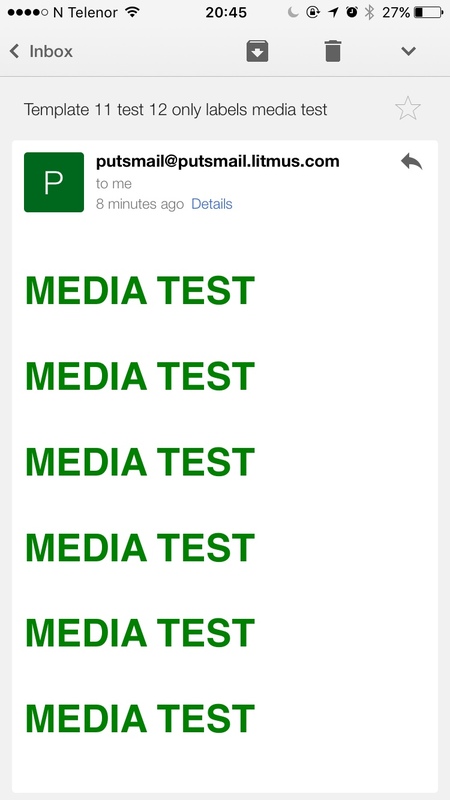 I'm using media queries to target mobile devices. 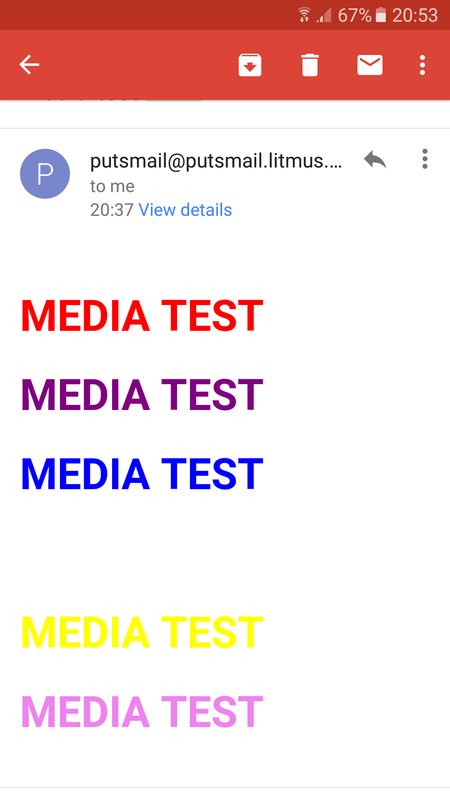 I've succedded in making email look the same on all Litmus provided (as per 20/10/2016) environments/clients. But my email layout that should be effected by media queries is not changing in iOS 10.0.1 native mail clinet on iPhone 6s. Am I doing something wrong, or iOS 10 mail client stopped supporting media queries? Your second screenshot doesn't look like Apple Mail on iOS 10. It looks more like Gmail on iOS 10. In that case, Gmail doesn't support media queries (yet). The recent update should impact Gmail on iOS soon. In the meantime, it's best not to rely on media queries for layout.